With all the above in mind I went to the (IPS based) drawing board and designed the first version. Originally it was meant only for the “wide” boards with 0.8” ROM ICs placement raster (ASSY# 250407, 250425, 250441 (has anyone ever really seen this one?? ), 250466). I tested it in my 64 and it worked well. But it couldn’t be used in other boards’ variants. So I created a special layout version for 0.9” raster (like the SX-64 CPU board) but then there were still main boards with 1” raster (ASSY# 326298 and KU14194HB) and there were still “narrow” boards (ASSY # 250469 REV. A, REV.3, REV. 4 and REV. 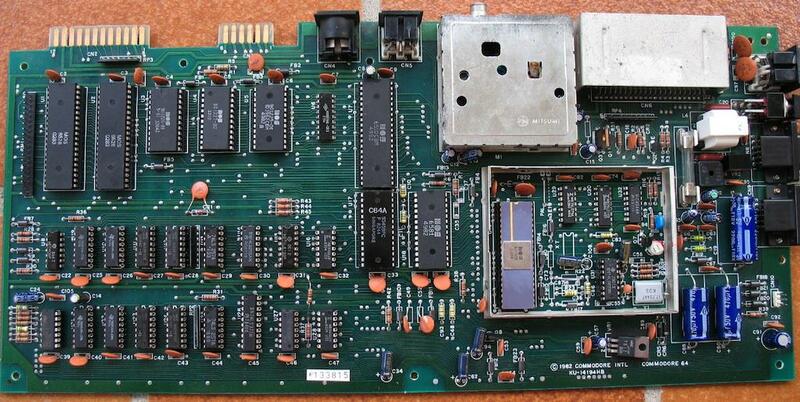 B), which required very much different approach due to their already combined BASIC and KERNAL ROMs in one chip. I thought “no.. that’s too many different layouts!”. There was also one more thing. As I mentioned before, the latest main boards not only have two ROM chips instead of three but as a result of this, they also have the chips' selection signals combined. This effectively prevented any direct use of the original design without adding extra fly-wires! I discussed with Gerrit about how to approach the newer “narrow” boards and we brainstormed various options for some time but no solution seemed to be perfect. To be completely frank, none looked even “good enough”. It seemed like the “narrow” boards (two ROM ICs and two chip select lines combined with an OR gate) would require even more components on the daughter PCB than the “wide”/SX versions, where three chips were to be replaced - sic! 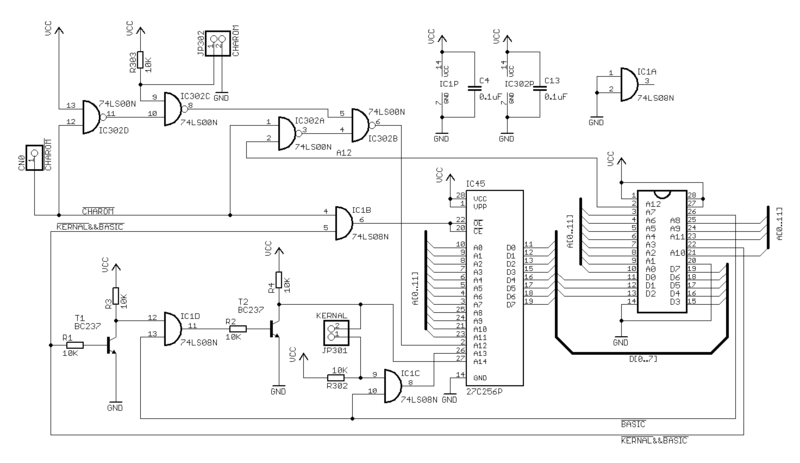 I even designed the circuit for the newer main boards but I admit that I didn’t really like it and probably because of that I never went to the PCB design stage with it. As it turned later out - holding my horses paid off. Check the second version if you want to know what I talk about. The so-called "wide" boards of the 64 are equipped mostly with NMOS based ICs. Main function of those ICs is to convert lots of electricity into lots of heat so that people in the Nordic countries can actually have some use for their computers during Christmas time. If you ever wondered why so many of the best sceners come from Finland, Sweden, Denmark, Norway.. now you got it, right?